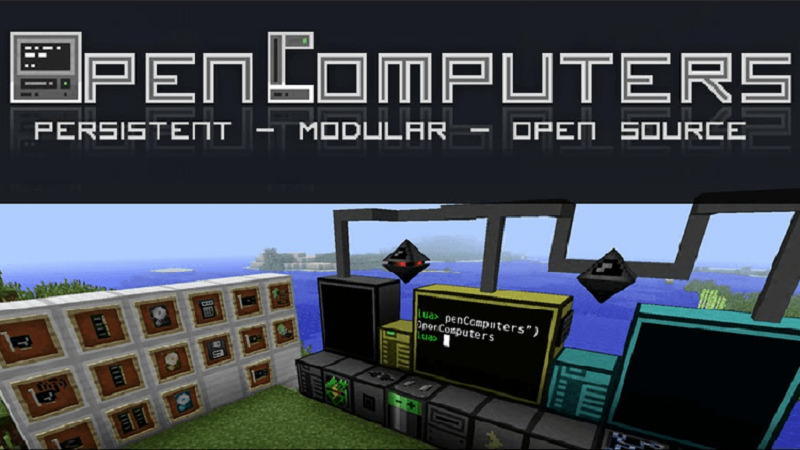 OpenComputers Mod 1.12.2/1.11.2 adds computers that can be programmed in Lua 5.2 and 5.3. Computers persist across saves (i.e. execution resumes where the computer was saved when it is loaded again), they are highly modular (there are graphics cards, network cards, redstone cards, …). If a compatible power generating mod is present, by default they will need power to run – however, like pretty much everything else about the mod, this can be changed in the config. OpenComputers is designed to fit well with survival gameplay, and is played best in combination with other mods, which allow automating ore processing, and ideally crafting to some extent! Computers are not cheap to craft, so don’t expect to build your first computer early when starting a new game. If you want an extra challenge, try the hard mode recipe set (see .minecraft/config/opencomputers/user.recipes for more information). There are a lot of components in the mod that can be used to extend computers, such as motion sensors, holograms and there are also robots. Inter-operation with many other mods is provided via the Adapter block (for example reading power information from energy cells and so on). The name may have given it away: the main feature this mod adds are programmable computers. OpenComputers itself allows writing programs using the Lua programming language, specifically Lua 5.2. Computers can be programmed at a very low level, but the built-in operating system emulates a Lua environment as close to “vanilla” Lua as possible within the restraints of the sandbox it is running in. To make your life easier, computers persist their script state across saves; this means they’ll continue executing where they left off when the chunk they are in was unloaded. 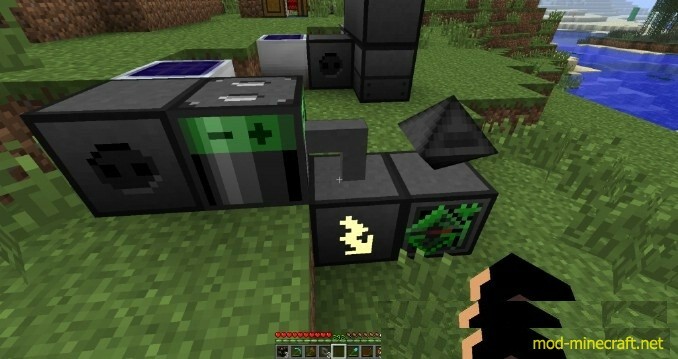 If a compatible power mod is installed alongside OpenComputers, computers will require energy to run, and numerous components will require energy for certain operations. Aside from the stationary computers and components, OpenComputers also provides robots and drones, computers that can move around the world and interact with it similar to how players can. Robots are more powerful than drones, they can use tools and contain a much larger number of components. Drones are much more mobile than robots and can perform a few actions robots cannot, such as leashing animals. 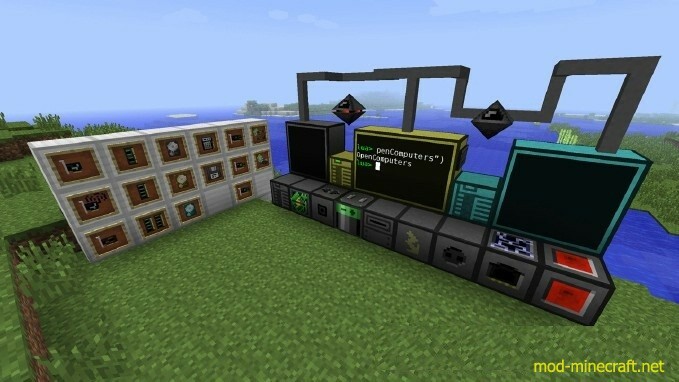 There are also several other computer devices in the mod, such as servers, essentially allowing for four computers in one block, microcontrollers, cheaper but more limited computers, as well as tablets, which are basically portable computers. A key focus of OpenComputers is modularity, allowing you to choose very dynamically from which parts to build your computers, robot and other devices. There are multiple tiers of computer cases, screens, graphics cards, network cards and so on. In that way there is also a certain level of progression in the mod, as you work towards building better, faster and more powerful computers. 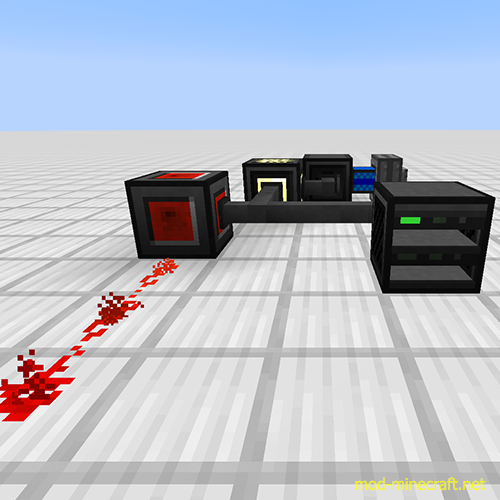 OpenComputers provides integration with many other mods: support for bundled redstone (Project Red, Redlogic and MineFactory Reloaded), covering cables (FMP and Immibis Microblocks), and obviously accepting power from several mods (RF, EU, Factorization Charge, Mekanism Joules, AE2 energy). 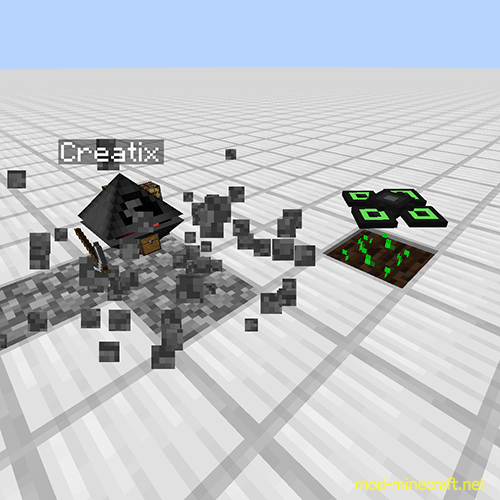 More interestingly however, OpenComputers provides a block that allows more in-depth interaction with other mods’ blocks, the Adapter. For supported blocks, the adapter will make those blocks available as components to connected computers, allowing them to read information such as energy levels and possible issue commands, such as playing notes on a note block. 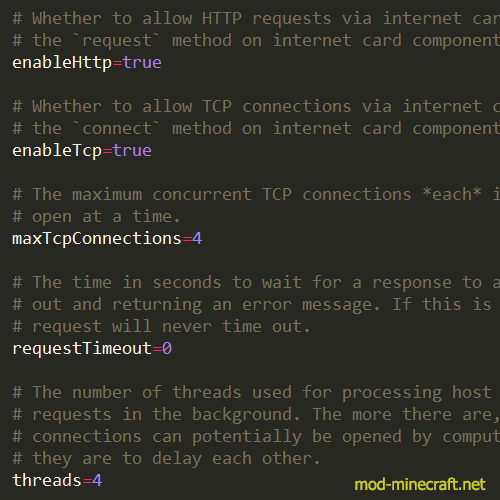 Many mods also provide built-in support for OpenComputers, meaning you can just hook up their blocks to a cable without needing an Adapter. Most things in OpenComputers are configurable. Don’t like the power requirements? Change them or disabled them entirely. Screens not rendering from far enough away? Increase the render distance. The config file is heavily documented, so it should be pretty clear from each config entry’s comment what it does. Aside from general configuration, it is also possible to adjust each of the item recipes in OpenComputers via recipe files – no need for Minetweaker! There are also a few different recipes set available, have a look in the config/opencomputers directory.